Rolling out of Koerner’s late Tuesday night, AMS VP External Jude Crasta led a crew to paint the Engineering Carin. Normally defacement of the Carin promotes competing faculties or clubs crude jokes – purple for Arts, bright orange to promote a Calendar Halloween party, F-U-C-K in large letters, and so on – but Crasta had something different in mind. Until someone else comes around with their own can of paint, the concrete monument in the center of Main Mall is promoting Champion the Vote, the AMS’ ‘get out the vote’ effort for this month’s federal election. Along with a website, social media outreach, debate screenings, pub talks and even cup sleeves handed out at Uppercase and other AMS restaurants, Crasta has been working hard to ensure students know how to vote and why it’s important. And he’s not alone. Every election cycle the same stories emerge about the “apathetic” and “disengaged” 18 to 24-year-old demographic, which regularly sees voting rates below 40 percent. But while experts agree that turning out young people to the polls is crucial in order to improve the political situation in Canada, they say youth have every reason to tune out of the political process. Among Cameron and others working to turn out the vote on this campus and across Canada there is a broad consensus that political parties have failed to attract young voters across the board. Parties are more invested in securing the support of seniors, who are more populous and vote in higher numbers; parties are failing to present grand visions of a better Canadian society; parties are in a perpetual campaigning process that turns governing in a spectacle that makes the political process look crude and unappealing. 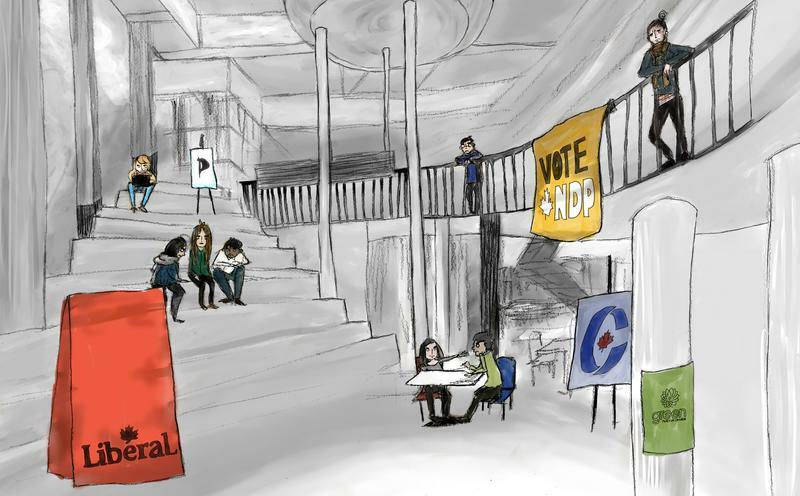 That, coupled with an electoral first-past-the-post system that encourages strategic voting, rather than supporting the party you would like to see form a government, and it is easy to see why UBC students and others turn away from elections. “It’s more and more becoming a show of theatre, of who can be the most sensationalist,” Crasta said of Canadian politicians. The smoke and mirrors of rhetoric bouncing around during campaign season are a key reason why students and young people fail to turn out to the polls. While voting itself may only take a few minutes, Cameron said many people simply don’t feel prepared to cast their ballot and see getting caught up on all the issues as a daunting task. 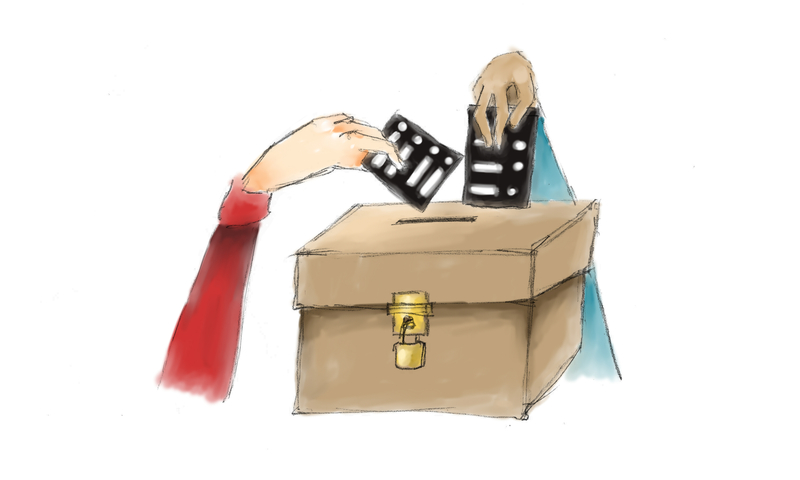 Of course, those trying to encourage youth turnout are quick to point out there are a variety of easy ways to learn about where the parties stand on issues voters care about. Vote Compass, operated by the CBC, is the best-known example of such an educational tool, with users answering a series of questions and the website spitting out a suggestion of which parties align best with their views. But smaller applications and websites and stepping into the void seeking to help specifically younger voters. Pollenize is a beautifully designed website and mobile phone application first created to educate voters about the Toronto mayoral race last year and now being applied to the federal election. Each party is broken down with a barebones summary of their policies on a series of issues from justice to pipelines and aboriginal issues and makes it easy to compare a single issue across the parties and reminds readers at the bottom of each page that “It only takes 42 seconds to register for the 42nd Canadian Election” with a link to sign up. iCanParty is another attempt to reach prospective youth voters through technology. Run by a team including three UBC students, the website offers a less polished but more in-depth breakdown and comparison of the four main parties’ stances on issues like combatting the Islamic State and Quebec sovereignty. Recent UBC graduate and iCanParty cofounder Jonah Brook said the idea for the site came out of a conversation with a friend, where the two disagreed over a party’s stance but found the actual positions not to be easily found. But if these projects and others help close the information gap for youth voters, that only addresses one aspect of disillusionment with the political system in Canada. Cameron, the political science professor, said he thinks the shift on the part of all parties to gearing their policies towards improving the economy and keeping up with other countries has led to a lack of vision. With parties pledging to get out of the way and let the private sector drive the country, he said it is hard for leaders to argue they will improve Canadian society. If parties used to fight over grand ideals of what Canada should be – the terms in which young people often think about futures they would like to see – Cameron said they are now reduced to fighting over the centre, reduce campaigning to a series of fights over insignificant wedge issues like the niqab where politician can score cheap political points while dodging more serious questions. But, as crazy as it may sound, none of this is to say you shouldn’t vote. 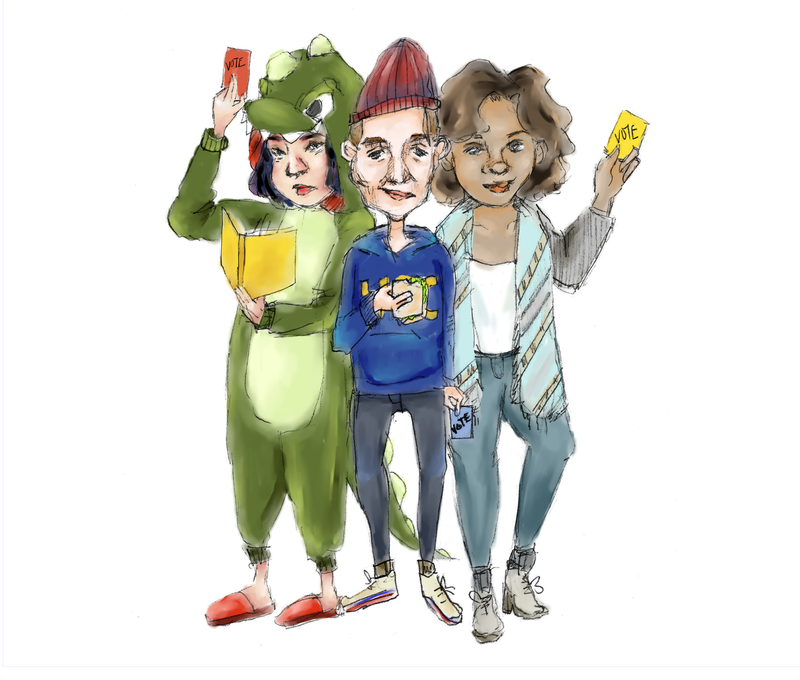 “Encouraging young people to vote is absolutely essential,” said Tessica Truong, who works for Simon Fraser University’s Public Square initiative and has lots of experience engaging youth civic engagement. She herself has had a great deal of frustration with feeling as though none of the political parties adequately advocate for the Canadian future she would like to see. However she said that just means we need to do more than vote – not sign away our voice altogether. “You can reward the politicians that are advocating on behalf of the issues that you feel are important, or in certain cases punish or not reward the political that are doing work against the public interest,” Truong said, adding that it is work done between elections that holds politicians to account the most and moves democratic reform forward. Likewise, the AMS VP Crasta said that despite the valid disillusionment many students feel, staying at home doesn’t communicate any message to those in power and leads to the population being written off. But if instead UBC students vote in large numbers it will allow the AMS to flex its muscles when it comes to advocating for student interests in conversations with the government.